It is not uncommon to be unhappy with the appearance of your smile. There are so many factors that play a role in the beauty of your smile: the manner in which the gums frame the teeth; the size, shape, and color of the teeth; and the alignment of the teeth. At Mitchell Dental Spa, Dr. Margaret Mitchell offers various cosmetic dentistry treatments to improve the look of your smile. She also offers BOTOX® Cosmetic, dermal fillers, and spa treatments to further enhance your appearance. When combined, these treatments can address your dental concerns and make you feel more confident about your smile. We invite smile makeover candidates to contact our Chicago, IL practice to find out which treatments are right for them. Tooth misalignment is one of the most common cosmetic flaws among patients. Overcrowded teeth, gaps, an overbite, or an underbite can all detract from the beauty of your smile. At Mitchell Dental Spa, we can treat tooth and bite misalignment with Invisalign®. 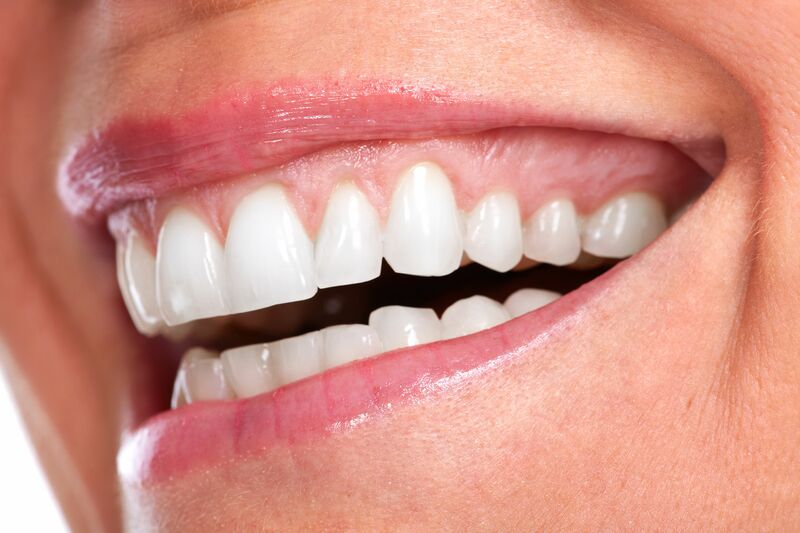 These clear aligner trays gradually move the teeth to provide a straighter and more uniform appearance. If you have minor orthodontic issues, we may be able to use porcelain veneers or dental bonding to mask the problem and give the teeth a straighter appearance. Tooth discoloration can make patients feel self conscious about their appearance. If you have yellow discoloration that affects the tooth enamel, teeth whitening treatment can lift the stains and provide a whiter appearance. If the stains are deep, affecting the dentin layer of the tooth, we can hide the discoloration with porcelain veneers or dental bonding. Some patients have teeth that are disproportionally small when compared to surrounding teeth or the shape of the face. Others have misshaped teeth that draw unwanted attention. Dr. Mitchell can improve the size or shape of the teeth with porcelain veneers, dental bonding, or dental crowns. All of these treatments can be performed to add width or length to a single tooth or a group of teeth. If you have too much gum tissue that shows when you smile or your gum line is uneven, we can perform the laser gum contouring procedure to quickly and painlessly reshape your gum line. To further enhance the results of your smile makeover, we offer injectable treatment to smooth and rejuvenate the skin. JUVÉDERM®, Restylane®, and Radiesse® are dermal fillers that can be used to fill in wrinkles and plump up the skin. They can be used to fill in nasolabial folds and marionette lines, the creases that extend from the corners of your mouth. They can also plump up thin lips, which has the added benefit of smoothing the fine lines around the mouth. In addition, we offer BOTOX® Cosmetic, which can be used to relax the wrinkles in the upper third of the face. To find out which smile makeover treatments are right for you, contact Mitchell Dental Spa today.